Mawlana Hazar Imam, His Highness the Aga Khan, the direct descendant of the Prophet Muhammad (s.a.s) and 49th hereditary Imam at the Canadian Parliament on Thursday, February 27, 2014. Simerg Exclusive Photo: Copyright Jean-Marc Carisse. Please click on photo for enlargement. 27th February, 2014 will be etched as a momentous day in Ismaili history with Mawlana Hazar Imam becoming the first faith leader in 75 years to address the Joint Session of the Parliament of Canada, at the invitation of the Prime Minister, Stephen Harper. Our group of invitees who travelled to Parliament in a coach proudly sang “O Canada,” and as we reached the snow-covered lawns of the Parliament Building we saw the Imamat flag flying on the hill. We had truly arrived! The Chamber of the House of Commons was filled to capacity. 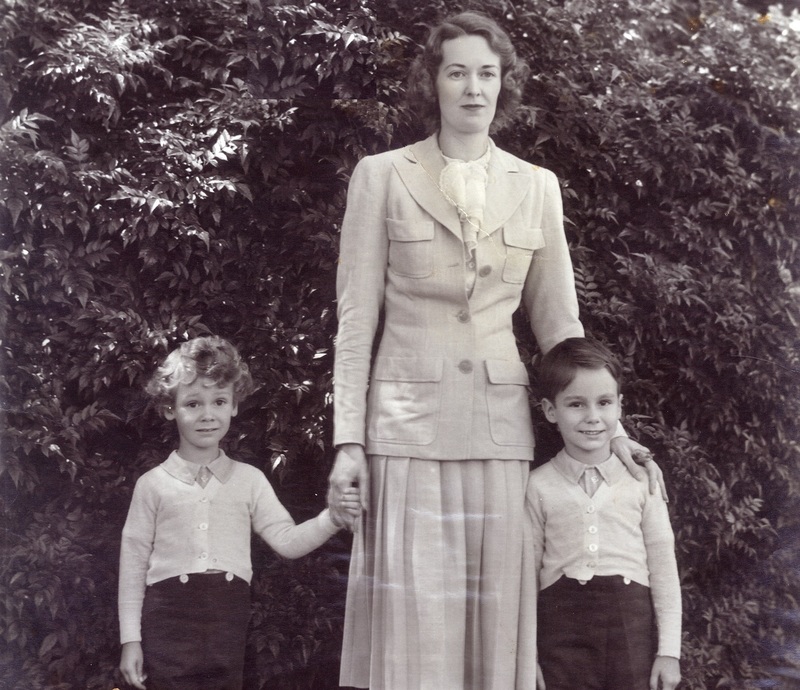 Shortly after 11 a.m as Mawlana Hazar Imam entered the House to rousing applause from both sides of the House, my eyes welled up in tears as I travelled back in time to the Silver Jubilee. Mawlana Hazar Imam signs the distinguished visitors books for the House of Commons and the Senate in the Canadian Parliament Rotunda as Prime Minister Stephen Harper, his wife Laureen Harper, The Honourable Andrew Scheer, Speaker of the House of Commons and the Honourable Noël Kinsella, Speaker of the Senate, and other individuals look on. Photo: Post Media Clip. See video link below. I had been the Hon. Secretary of the Ismaili Council for Canada during Mawlana Hazar Imam’s Silver Jubilee visit, and was thinking back to how far we had come since his first visit to the House during the Jubilee in April, 1983. Pierre Trudeau was the Prime Minister, and Zulficar Lalji our National President. During that visit, Mawlana Hazar Imam was recognised from the Distinguished Visitors’ Gallery by the speaker of the House, Madame Jeanne Sauve. This unique and historical photo signed by the late Canadian Prime Minister, Pierre Trudeau, was taken in the Prime Minister’s Office during Mawlana Hazar Imam’s Silver Jubilee visit to Canada in April 1983. (l to r) – Hon. Secretary Farouk Verjee (Aga Khan Council for Canada), Mr. Gerry Wilkinson (His Highness the Aga Khan’s Secretariat, Aiglemont, France), Hon. 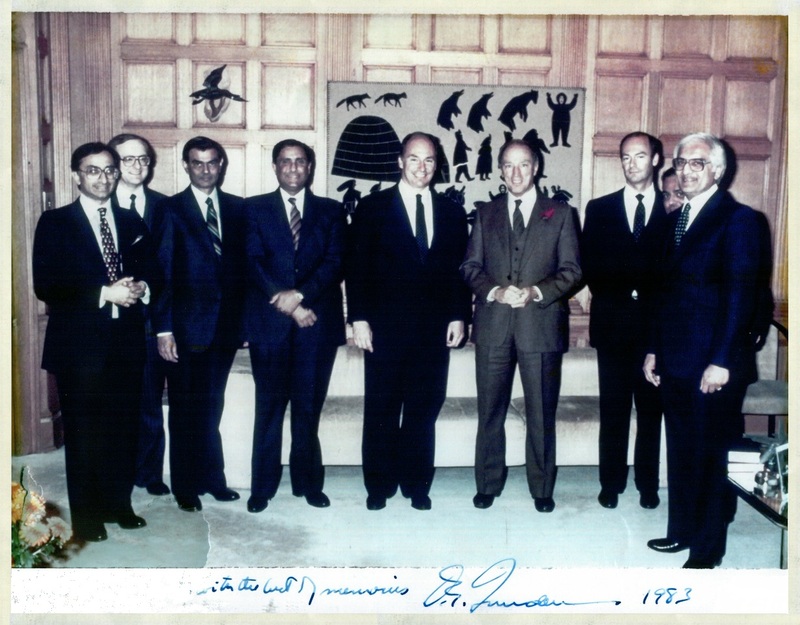 Secretary Mohamed Manji (Aga Khan Ontario Council), President Amirali Rhemtulla (Aga Khan Grants Council), Mawlana Hazar Imam, Prime Minister Pierre Trudeau, Prince Amyn Muhammad Aga Khan, President Mehboob Dhanani (Aga Khan Ontario Council) and President Zulficar Lalji (Aga Khan Council for Canada). The full signature line note from the Prime Minister read: To Farouk with the best of Memories. Trudeau. 1983. Photo: Farouk Verjee Collection, Vancouver. Please click for enlargement. After a raucous question period relating to a budget leak, the late Prime Minister invited Hazar Imam, Prince Amyn Muhammad and the accompanying Ismaili leaders to his office. He immediately asked if we would like to have a picture taken (see photo above). It was like being in seventh heaven! Prime Minister Trudeau praised our jamats’ engagement in all aspects of National Life, having arrived here only a decade earlier. It is a well know-historical fact that the Prime Minister facilitated the settlement of thousands of stateless Asians, including Ismailis, after they were forced to leave Uganda by Idi Amin in 1972. Referring to the rowdy question period earlier, the Prime Minister jokingly said it was like going to the dentist every day! The charismatic Mr. Trudeau with his usual panache was always at his very best with his sharp wit. At one point I quipped that hopefully by the next Jubilee we would have Ismailis in the House. The Prime Minister with his typical shrug said, “Why not earlier?” Until recently we had Yasmin Rattansi (Liberal — Toronto) and Rahim Jaffer (Conservative — Edmonton) as Federal MP’s. Mobina Jaffer sits in the Senate. Mawlana Hazar Imam’s signature in the Visitor’s Book from the signing ceremony shown in a previous photo. Credit: Post Media Clip. See video link below. Following the joint session of Parliament, Prime Minister Harper and Mawlana Hazar Imam signed an important Protocol of Understanding with the Government of Canada and the Ismaili Imamat in the Hallway of Honour, which was draped with our National flag and the Imamat flag. As part of this historical visit Mawlana Hazar Imam also signed the distinguished Visitors Books of the House of Commons and the Senate. On the following day, a very large gathering of some 2500 people from all walks of life attended Massey Hall in Toronto to hear both the Prime Minister and Mawlana Hazar Imam. More than 2500 people from all walks of life and from different communities lined up on Friday February 28, 2014, in frigid temperatures outside Toronto’s iconic Massey Hall Theatre to attend an event hosted by Prime Minister Stephen Harper in honour of Mawlana Hazar Imam. Photo: Nurin Merchant. Copyright. As we huddled outside the iconic 120 year old building in extreme weather with a temperature of around -28c with windshield, to go through the security checks, I was impressed by the number of non-Ismailis who were lining up in good cheer to hear our Imam. One individual got a large canister of Starbucks coffee and handed it out freely to the freezing crowd! 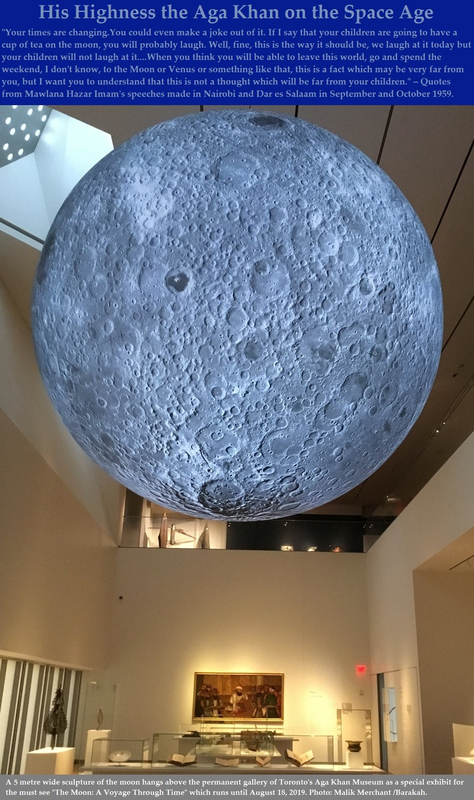 Our jamat can be truly proud of the events at the Parliament and Massey Hall and we can now all look forward to the opening this year in Toronto of the magnificent Ismaili Centre, the Aga Khan Museum and the Park. Date posted: Friday, March 7, 2014. Click on Aga Khan Signs Visitors Books to watch a brief 1 minute video of the signing ceremony. About the writer: Farouk B.K.S. Verjee served as the Honorary Secretary of His Highness the Aga Khan Ismaili Council for Canada for a period of 5 years from 1979-1984, following which he became its President until 1987. His terms of office saw the foundation laying ceremony of the Ismaili Jamatkhana and Centre (a Silver Jubilee Project) by the Honourable Henry Bell-Irving, Lieutenant-Governor General of British Columbia, as well as its opening in 1985 by Canada’s Prime Minister, Brian Mulroney. 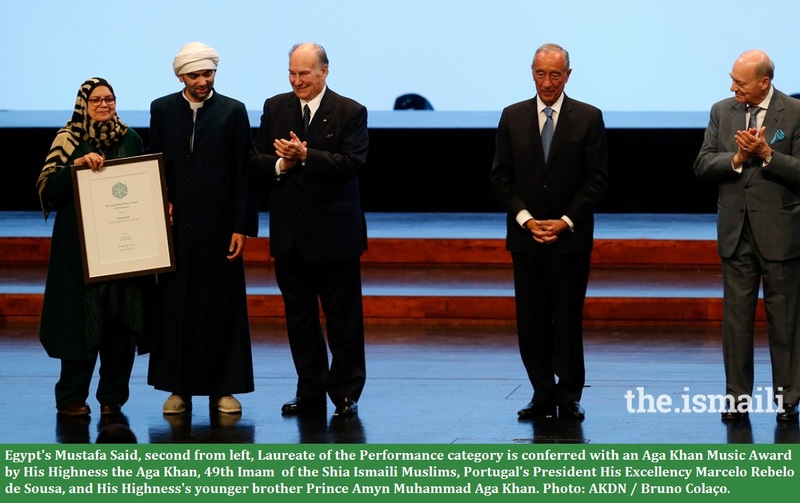 Both the ceremonies took place in the presence of Mawlana Hazar Imam and members of the Noorani family. In a farman made to the jamat on the opening day, Mawlana Hazar Imam declared the jamatkhana as Canada’s darkhana. 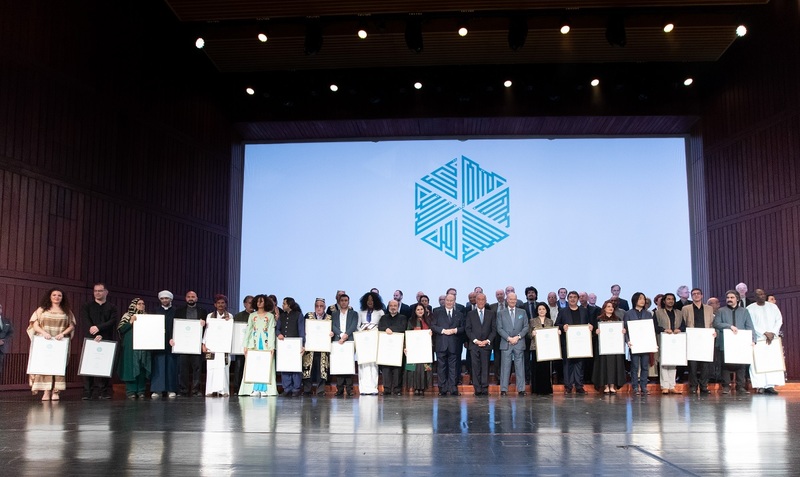 Ismaili Youth and Students Thrilled to Receive Invitations to Massey Hall Gathering to Honour their 49th Imam, His Highness the Aga Khan – Simerg Wants Your Stories and Photos! Massey Hall is a performing arts theatre in the Garden District of downtown Toronto. The theatre originally was designed to seat 3,500 patrons but, after extensive renovations in the 1940s, now seats nearly 2800. Photo via blogto.com. Many dozens of Ismaili youth and university students living and studying in close proximity to Metro Toronto were pleasantly surprised to receive an email invitation for a gathering on Friday, February 28th at 2pm at Toronto’s iconic Massey Hall in which His Highness the Aga Khan will be present. This event will follow his historic address in Ottawa at the Canadian Parliament on Thursday, February 27, 2014 at the invitation of the Prime Minister, Stephen Harper. Recipients of the email were left wondering whether the email invitation was indeed some kind of a spam, and many youth were contemplating on not replying to the invitation. But with key government of Canada phone numbers and details listed in the email most were expected to confirm their attendance by the February 24th deadline. The Prime Minister of Canada, the Right Honourable Stephen Harper is pleased to invite you to an event in honour of His Highness the Aga Khan, 49th Hereditary Imam of the Shia Imami Ismaili Muslims. Prime Minister Harper will be joined by Minister Baird, Minister Kenney, Minister Alexander, and other Ministers and Parliamentarians. 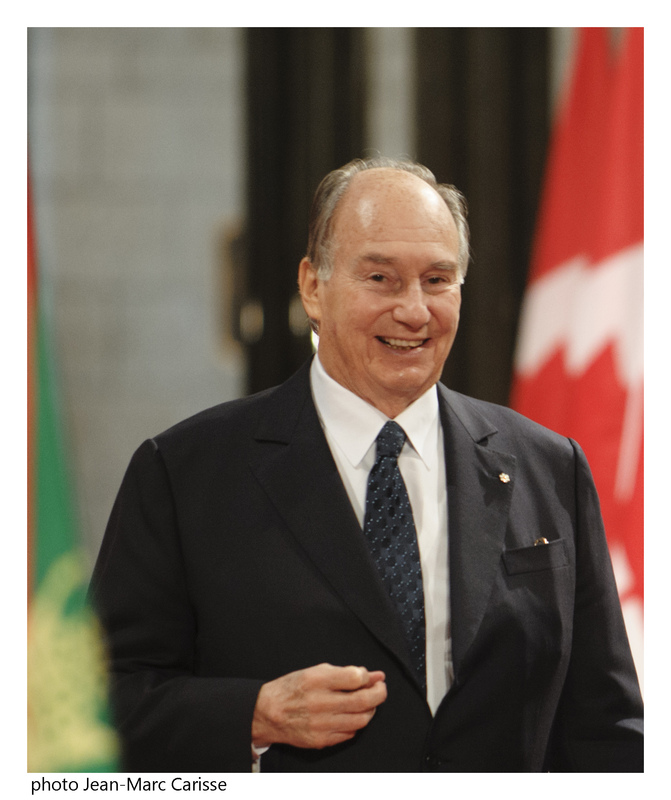 The event will be held at Massey Hall on Friday, February 28, 2014 at 2 p.m. in Toronto, Ontario in the presence of His Highness the Aga Khan, to honour him on the occasion of his visit to Canada and address to Parliament the previous day. The dress code for this event is business attire. Please confirm your attendance and mailing address by replying to this email no later than February 24th, 2014. Upon confirmation of your attendance, additional details regarding the event at Massey Hall will be sent to you. Kindly note this invitation is personal and non-transferable. Congratulations to him and all others who will participate at the historic ceremonies. If you are at the Parliament on Thursday or at Massey Hall on Friday we would like you to share your experience and story for the benefit of this website’s world-wide readers. Your contribution will be appreciated by everyone. Please click on Leave a comment and provide as much information from the event(s) as you can, including your own personal and memorable experience. If you have a Facebook or other social media page or blog provide the link. Photos (as well as your narrative) may also be submitted to Simerg@aol.com. A special post will be created with everyone’s stories and photos to mark the historical occasion! Date posted: Monday, February 24, 2014.